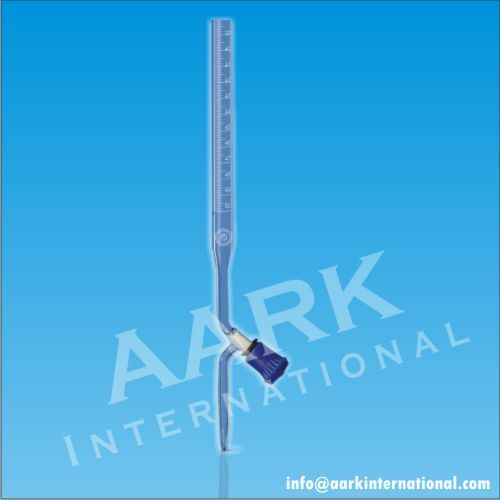 A burette (also buret) is used in analytical chemistry for the dispensing of variable, measured amounts of a chemical solution. 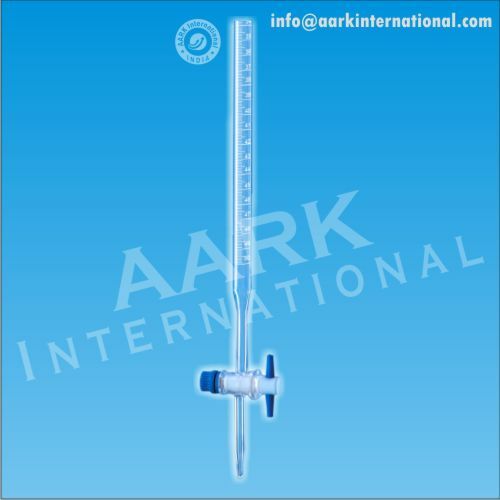 A volumetric burette delivers measured volumes of liquid. 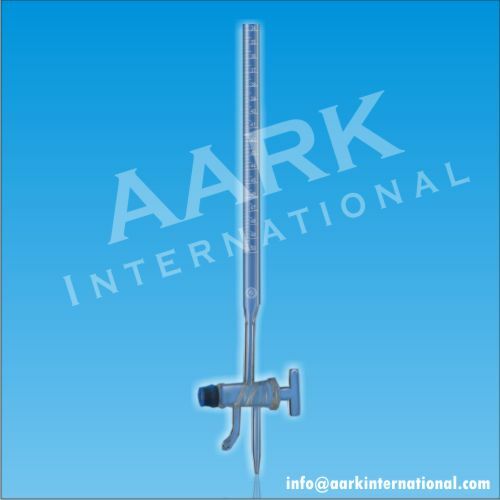 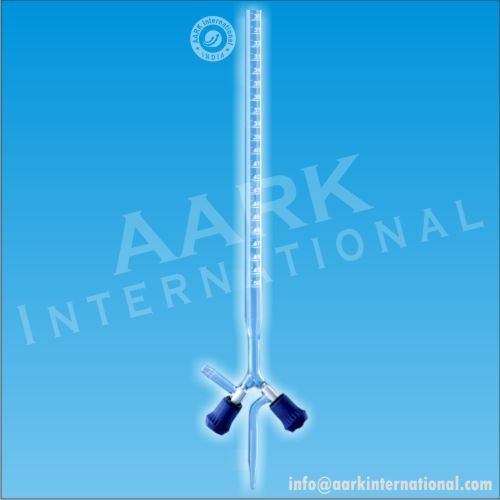 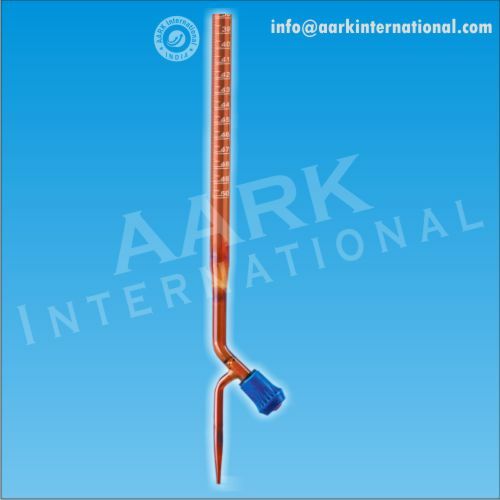 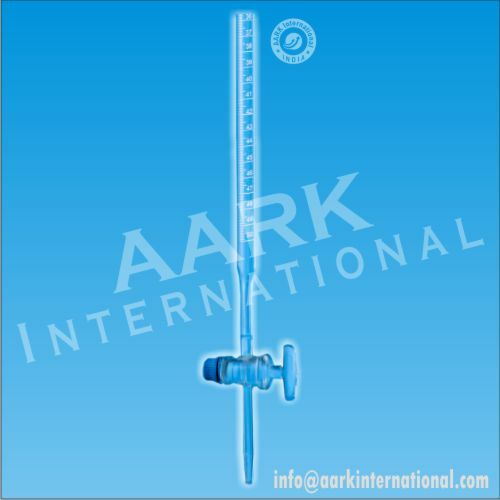 AARKs wide range of standard burettes include Class B grade, individually calibrated, feature enameled graduations, different styles of stopcock plugs and are calibrated to meet several ASTM specifications.